Many of you reading this article must be job holders or may be working in a corporate or private organization, and would often face the issue of connecting to the company’s Wi-Fi connection or just sitting in a restaurant and you connect to the restaurant’s Wi-Fi connection to complete a task. To warn you these connections are totally insecure and completely vulnerable. Cyber felons can easily pick you up and do any notorious activity with your connection that can cause a lot of damage to you or your company. These connections can be easily breached and critical information be taken from the data passing through these connections in an easy and simple way. Even some simple softwares can be used by an amateur hacker to hack and spoof critical information and then use that information to cause a lot of damage, which in most cases is the monetary loss, to both the company and the user. VPN or Virtual Private Network can be used to avoid any mishap in these types of connections. A VPN encrypts as well as authenticates. A VPN encrypts the data sent over the private network, while it also uses strong authentication systems to authenticate legitimate users and allow them access to the private network. An excellent VPN uses a 128-bit AES encryption technique to encrypt the data sent over the network. And to tell you about AES, it has been classified as unbreakable. So no worries if you use an excellent VPN connection. 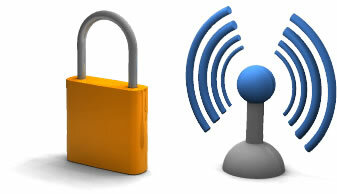 The list given below depicts the top 5 service providers for VPN for Wi-Fi – Hotspots. Select any one of them if you want to get the best and premium security on a Wi-Fi connection. They all use 128-bit AES techniques and they also provide you with the best customer care support and that also 24/7. So if you really want to enjoy a VPN connection then we recommend you to choose any one of them and enjoy the VPN services in a true way.